It is 1970. Sisters Bean and Liz are in a bit of a fix. Their mother, more focused on her “musical career” abandon them, leaving them only $200.00. Deciding that their mother isn’t coming back, they take the bus across the country to Virginia to live with their uncle Tinsley in her mother’s old home town. addox’s. Bean and Liz just wish they understood why. As if all the adjustment in their lives isn’t enough, the town is going through forced integration of black and white folks. This sets of a powder keg of emotion, prejudice and racism and the littler town of Byler will never be the same. As Bean comes closer to finding herself, something happens that destroys Liz and she withdraws further into herself. Will Bean be able to do what’s right, and heal her sister? Or will they both succumb to the darkness that threatens them? and read it in two days. It’s a quick breathless read that tackles some really heavy issues: Abandonment, nervous breakdown and mental illness, family secrets and lies, bullying, race segregation and then some. But to be sure, it’s a book that should feel long but because of Walls skill asa a writer, the book just flies by. It’s more than a novel about racial intolerance, family illness, and then some. This is a novel about the power of the human heart.. It’s stronger and more sure within the bounds of fiction. The Silver Star is quite simply an amazing book. 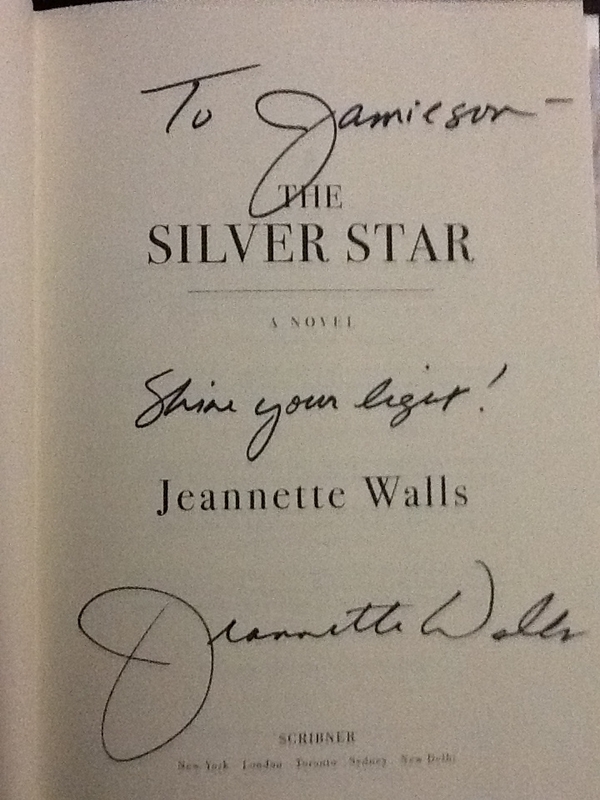 I had to opportunity to go and hear Jeanette Walls speak about her writing and The Silver Star. In a word, I was spellbound. 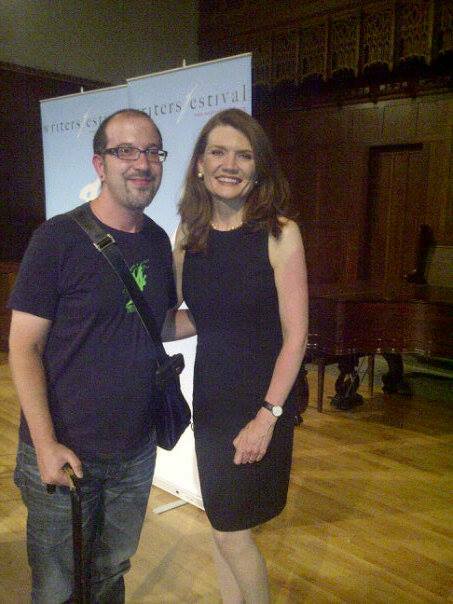 She was so personable and when I went up to get my book signed she was lovely enough to let me grab a picture with her (I felt very fan boy indeed).